Just yesterday, we did a post on a new project from Polish company Red Sky, which is probably most well-known for the download service Filestube. 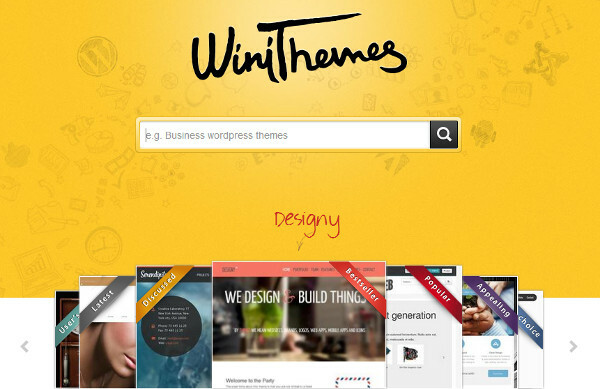 Now, we already have another project from them in the form of the site Winithemes.com, a template-aggregator for sites like WordPress. I managed to speak with the people behind the project and asked them about their traction, product, and plans. Marketing manager Igor Pisov from Red Sky told me that the service itself is a site which aggregates more than 7,500 templates for platforms like WordPress, Joomla, Drupal, HTML, Magento, OpenCart, and many others. As of now, the company reports 20,000 users for this project, and its Alexa ranking is above 42’500. The best features of their service are the central access to themes for the aforementioned platforms, the auto-complete search function, advanced sorting and filtering, and their smart bookmarking and notification system. For funding, the parent company Red Sky provides the necessary financial backing. In terms of competition, Pisov says that their rivals are sites such as Template Monster, WordPress Hub, WordPress Explorer, Elegant Themes, and others. At the current stage, they are working to promote this site and are developing another service dedicated to WordPress themes.